We and everything in the world around us is made up of energy vibrating at a different unique frequency. When parts of our personal frequency go out of ‘harmony’ with the rest then blocks occur. Blocks can arise for many reasons e.g. life events trauma, stress, ancesteral family patterns, toxins. 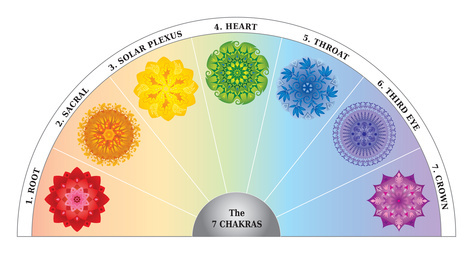 The technique works with an individual’s ‘Bio-energy field’ (Aura and Chakra systems) to restore flow by removing the blockages which can cause ill health. A series of specialised hand techniques are used around the body to remove stagnant energy and to restore the correct frequency of energy flow to any areas where either an excess or depletion of energy has resulted. Depending on the techniques required the client will either be asked to stand or sit at different points during a session. Illness is the expression of blockages in different areas. Without a block there can be no ‘illness’. Bio-Energy Healing works to clear these blocks – allowing the body the chance to become healthy again. What does a BEH treatment involve? With you first standing and then sitting I will work around you with minimal touch to your physical body. which are causing disconnections within your 'Bio-energy field. Every client and each session is different. You may feel hot or cold areas or tingling in your body. You may feel a gentle or strong swaying sensation or movement of the body or you may nothing much. The BEH technique is non-invasive with minimal touch. Clients remain fully clothed but are asked to remove shoes and metal objects. You will be asked to stand or sit throughout the treatment. Which option depends on you, your condition and its duration. Longer term, more ‘established’ conditions may need further treatment with wider gaps. Just like unblocking a drain or decongesting a traffic jam!! – there can be more serious or less serious levels of blockage – some will clear quickly and others will need more time. A Bio-Energy practitioner does not 'heal' your body but rather addresses the imbalances to allow your system to heal itself.